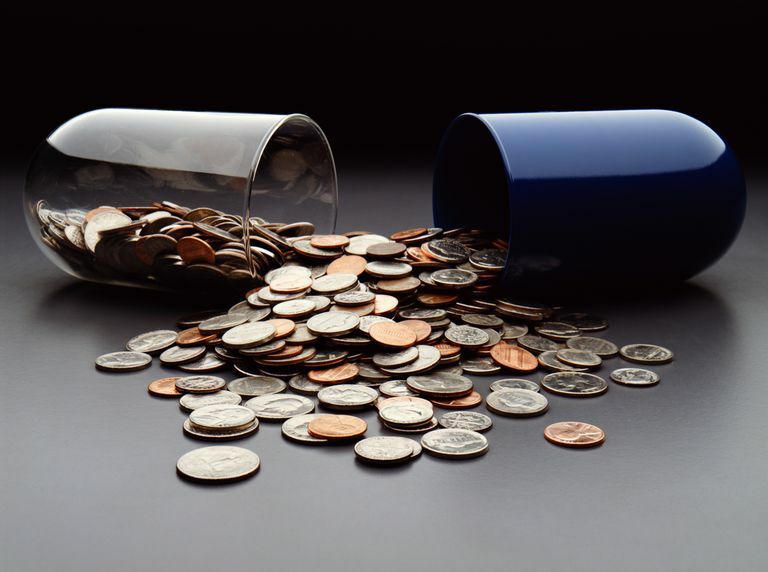 Can government negotiations with pharmaceutical companies cut costs? The cost of medications is on the rise. In 2017, Americans spent 333.4 million billion on prescription drugs with the number expected to increase to 360.3 billion by the end of 2019. That's a near 27 percent increase in only 2 years. Is there anything you can do to pay less for your medications? Is there any way the federal government can help? Many factors contribute to increased spending on prescription drugs. At times, there may be manufacturing issues that limit how much medication is available. At other times, a drug may be the only one of its kind to treat a certain condition. In these cases, there may be increased demand and added costs associated with the drug. Pharmaceutical companies can also increase drug prices for profit. Turing Pharmaceuticals caused a controversy in 2015 over Daraprim (pyrimethamine), a medication used to treat the AIDS-associated infection toxoplasmosis and other parasitic diseases. Martin Shkreli, CEO of the company, purchased the patent for the drug and increased the price of the medication more than 5,500 percent, from $13.50 to $750 per pill. Pharmaceutical companies claim that higher prices are necessary to fund research and development (R&D) projects. Without these ongoing investigations, they claim people could suffer from potentially treatable diseases. However, a 2017 report in Health Affairs has shown that these companies charge such high prices for drugs sold in the U.S. that they could fund R&D around the world while still pocketing billions in profits. Clearly, R&D alone does not justify the skyrocketing costs of prescription drugs in America. In the United States, there are no regulations in place to prevent surges in Medicare prescription drug costs. The federal government leaves pricing practices up to good old fashioned capitalism and market competition. Drug costs are managed differently around the world. This is why you often see that the same drugs sold to Americans may cost much less in other countries. Keep in mind that many of these countries have single-payer systems or universal health care. Some people think it may be better to buy drugs from other countries as a way to cut costs but Medicare does not see it that way. Medicare will not pay towards any medications purchased outside of the United States. Many pharmaceutical companies charge high prices but counter those costs by offering medication coupons and vouchers. The trouble is there are laws in place that prevent many people from using those discounts. There is an anti-kickback statute within the Social Security Act. It states that an individual or organization cannot offer services to someone in return for referrals or payments that would take money from federal programs. Medications, unfortunately, fall into this category. That means that anyone using Medicare cannot take advantage of these prescription discounts as long as they use their Part B or Part D benefit to pay for those drugs. Coupons and vouchers encourage people to spend money on more expensive medications. Once the discounts are no longer available, the government would be left to pay for a more costly alternative than if the patient had used a less expensive medication. The anti-kickback statute is meant to protect the government from fraudulent activities but ultimately strains consumers. If patients cannot get discounts directly from pharmaceutical companies, should the government negotiate for lower drug prices on their behalf? The surprising answer is that they already do. For Medicaid, companies are mandated to provide drug price rebates. For the Veterans Administration (VA), drug companies must charge the lowest price they offer to anyone in the private sector. It is no wonder medications offered through these other federal programs are cheaper than Medicare. Why can't this be done for Medicare too? Medicaid has a single formulary in each state. The VA has a single formulary. This is not the case when it comes to Medicare. Part D prescription drug plans are run by private insurance companies and each company has multiple formularies with different costs attached to each of them. More importantly, these insurers aim to make a profit. This poses challenges for the government. First, it would need to change current legislation that excludes the government from intervening in Medicare drug pricing. Second, it has to decide how to proceed with negotiations. How can the government fairly regulate across multiple companies when different drugs are involved in each formulary? Would it change how formularies are designed? Would it dictate a universal formulary? Which types of drugs should it regulate? Would it require restructuring of the Part D benefit? This is an ongoing debate and one that is being raised in political circles. The Congressional Budget Office suggests that negotiating rates would not significantly affect federal spending. That is not an answer many Americans want to hear. Many seniors are struggling to afford medications at a time in their lives when they need health care the most. Something needs to be done to curtail the rising cost of prescription drugs in our country. The federal government allows state Medicaid programs and the Veterans Administration to negotiate for lower drug costs with pharmaceutical companies but the same cannot be said for Medicare. Medicare Part D is run by private insurance companies, and unlike these other programs which have a single formulary, there are a number of formularies to take into consideration. This complicates the situation and explains why laws are in place that prevent the federal government from negotiating with pharmaceutical companies on behalf of Medicare beneficiaries. Kubanski J, Neuman T. Searching for Savings in Medicare Drug Price Negotiations. The Henry J. Kaiser Family Foundation. http://kff.org/medicare/issue-brief/searching-for-savings-in-medicare-drug-price-negotiations/. Published February 9, 2016. Miller E. U.S. Drug Prices vs The World. Drug Watch. https://www.drugwatch.com/featured/us-drug-prices-higher-vs-world/. Published January 25, 2018. Office of the Inspector General. Pharmaceutical Manufacturer Copayment Coupons. http://oig.hhs.gov/fraud/docs/alertsandbulletins/2014/SAB_Copayment_Coupons.pdf. Published September 2014. Shih C, Schwartz J, Coukell A. How Would Government Negotiation Of Medicare Part D Drug Prices Work? Health Blog. http://healthaffairs.org/blog/2016/02/01/how-would-government-negotiation-of-medicare-part-d-drug-prices-work/. Published February 1, 2016.